Fez is well over 1000 years old, and it looks its age (that’s a good thing!). Founded in the 8th century under the Idrisid Dynasty, the city expanded over the following centuries and became an important center of education and commerce. Today, you can visit Fez’s historic walled medina full of craftspeople, market stalls, delicious food, and more—sometimes a bit hectic, but always interesting! Also worthwhile is a trip to the tanneries to see how workers dye the animal hides that will eventually be sold as leather goods. Finally, make sure your wander through Fez takes you to the Madrasa Bou Inania, an importance place of learning that features gorgeous architectural details and wooden carving. The ruins of this ancient Roman city include a temple, a basilica, an impressive triumphal arch, and multiple houses, some even containing significant mosaics. Volubilis is a UNESCO World Heritage Site, thanks to its significance for illuminating Roman activity at the fringes of the Empire and the interactions among multiple cultures. Volubilis isn’t far from Fez, but it leaves all the city crowds and chaos behind, making it an incredibly peaceful getaway. This is a once-in-a-lifetime experiences, maybe more than once if you fall in love with the desert and come back. 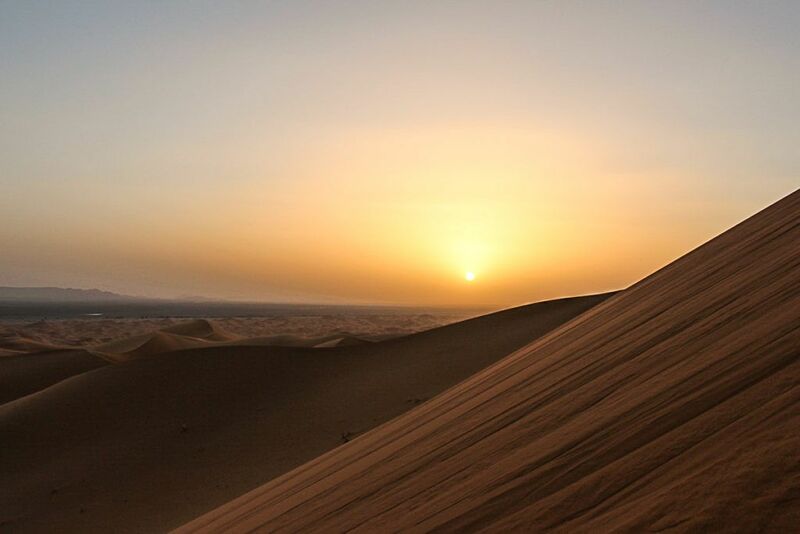 The Sahara Desert, arguably the most famous desert in the world [and one of largest deserts in the world], is every bit as vast as you can imagine. As you trek across it (whether on foot, on camel, or by 4×4), the dunes seem to go on forever, an ocean of gold. At night, you’ll see the stars in their full glory, free from any light pollution. There’s nothing quite like looking all around and realizing that the only people within sight are you and your small group, plus a few camels. During the day, brush up on your history as you visit the lavish 16th-century Saadian Tombs, the late 19th-century Bahia Palace, the large 12th-century Koutoubia Mosque, made of striking red brick and sandstone, and the Dar Si Saïd Museum, which will help you appreciate all the Moroccan arts you encounter on your trip, from jewelry and pottery to leatherwork and carpets. 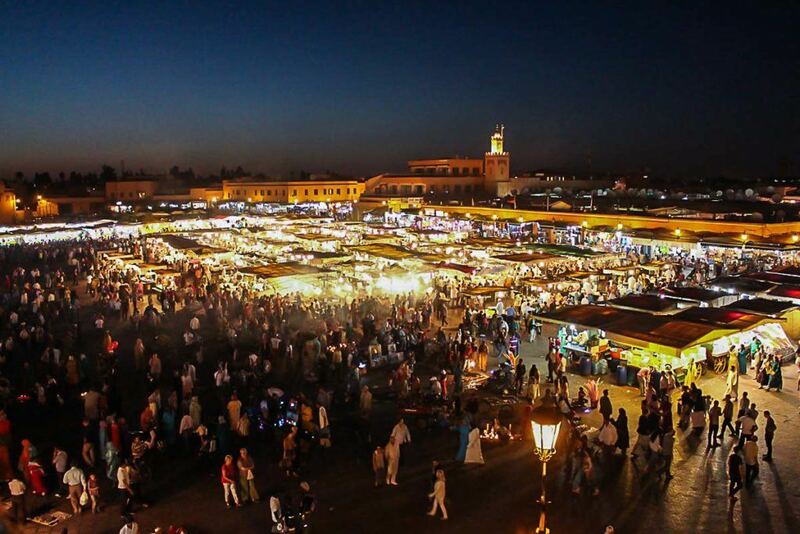 But in the evening, it’s time to pay a visit to the lively main square, Djemaa El-Fna. 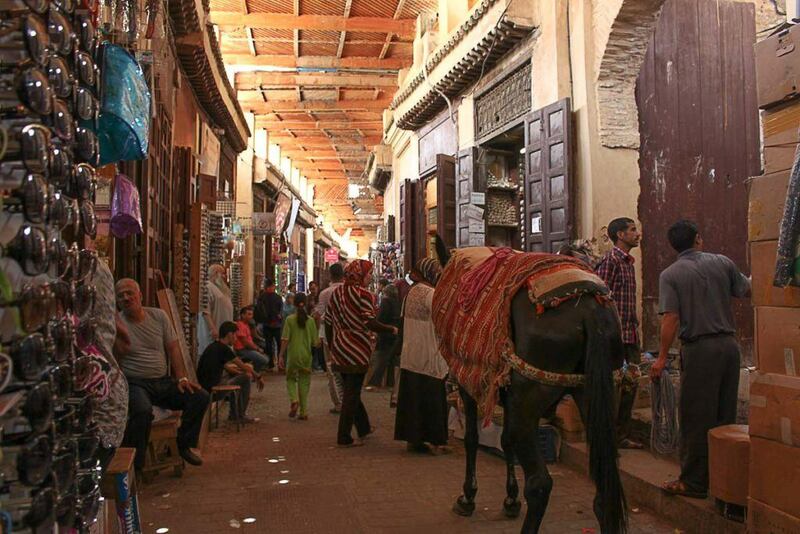 There are numerous souks where you can find just about anything you’d want to buy. Here you’ll also find endless entertainment: acrobats, musicians, tattoo artists, and more. And of course, plenty of delicious food! Situated in the historic part of Rabat, this beautiful citadel complex houses the oldest mosque in Rabat as well as an Andalusian garden. Its narrow streets are lined with picturesque houses in blue and white. Go for a walk to enjoy the ambiance and soak in some views of the Atlantic Ocean. 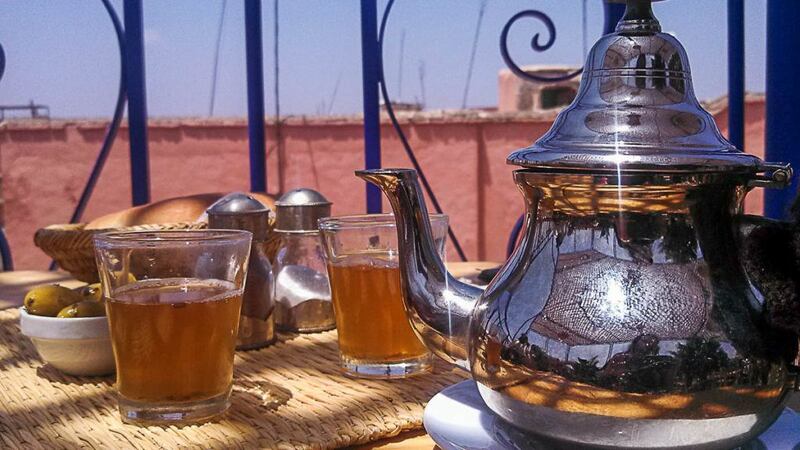 Morocco is rightfully famous for its delicious tea, made from fresh mint leaves. If you find yourself a guest in someone’s home, chances are good that you’ll be offered a few cups of tea as a gesture of hospitality. Drink it with breakfast, lunch, or dinner! This tea is also an excellent, revitalizing pick-me-up, the perfect accompaniment to a half hour (or more) spent relaxing in a café and watching the crowds go by. Hello. I am a student who is reading your blog in Korea. While I was looking for a blog for my assignment, I saw your blog. I thought it was great to have the courage to give up everything for your dream. And I think it’s a great fortune to meet someone who can do it together. I like traveling, too. Looking at your post, I would like to travel around the world happily with someone I love someday. I hope you’ll write a good post like this for a long time. I have one last question. Which country do you think is the best place for a college student to travel? P.S. Korea also has a lot of things to see and a lot of delicious food. I bet visiting Korea will also be a good memory! Tks for the kind words ? Ps. Planning to visit Korea on 2019! The city looks absolutely amazing. And I love the desert shot as well. 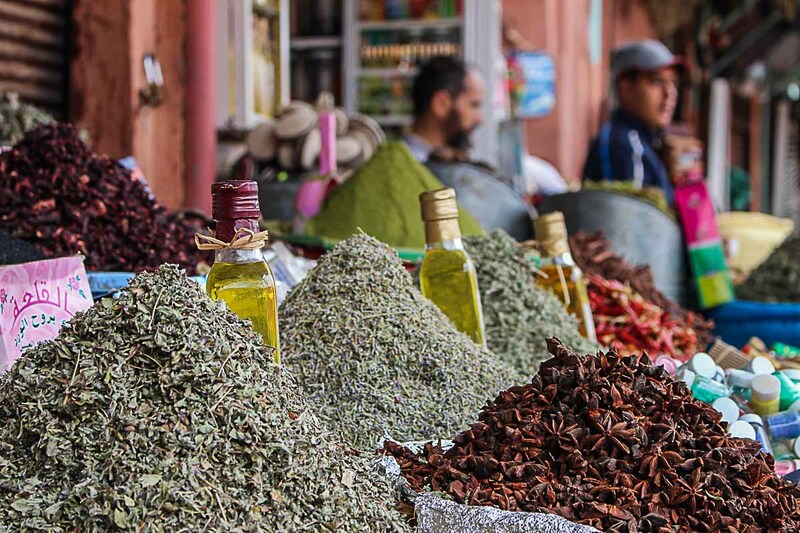 Morocco is next on my bucket list!